Also, ask us about our upcoming Webinar with Glassdoor! When we look at innovation that is occurring in Talent Acquisition, a lot of it is happening in what we call the pre-applicant (or recruitment marketing) phase of the candidate journey. It’s around Candidate Attraction and how we as companies influence a candidate to apply to our organization. The key here is that this is not just about advertisements of jobs (although that’s a part of it) but about the messaging and content we create and deliver at different points in the candidate journey and how we consistently improve this nurturing process for future candidates. 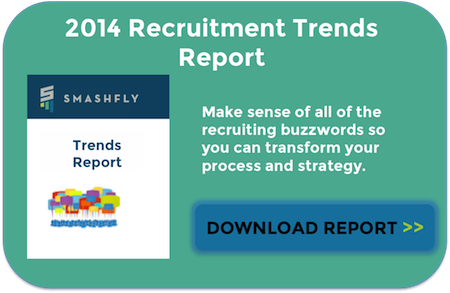 Finding candidates is no longer the main problem for organizations, it’s attraction and securing buy-in that is keeping recruiting teams up at night. To modernize our talent acquisition strategies, we need to understand that recruiting itself is changing rapidly and the candidates that we are looking to attract have more choices than ever. That’s why a lot of the innovation we are talking about is around borrowing ideas and concepts from other disciplines most prevalent being marketing. Five years ago “The Job” was the center of your recruitment universe. It’s what you sold and what the candidate was looking to buy. But times are changing. With more information available to candidates, we live in a world of a more educated buyer and while jobs are still important, our employer value proposition needs to be elevated to meet the demands of candidates. It’s not enough to have just a solid job, candidates want to be part of a robust culture and do meaningful work. That means organizations have to really think about and share what makes them special. This goes beyond just better design and graphics on the Career Site but goes deeper into truly understanding the value that comes from working at your organization and what the candidates you are looking to attract truly want to make their work meaningful. Once this is figured out (and it never truly is 100% finished), it’s about ensuring consistency of this brand and message across all channels and in the conversations / interactions you directly and indirectly have with candidates. As Candidate Attraction evolves, so do the skills needed to better attract qualified candidates. And many of these are marketing skills. First, organizations will be paying closer attention to the overall recruitment marketing mix, what channels are performing well (or poorly) and what’s the best use of their finite budget in terms of recruiting channels. Second, organizations are looking to produce more content around their employer brand outside of jobs. That means videos of employees, news around the industry, company highlights, helpful materials for job seekers and other content. This content will then be used to consistently get more information on candidates, attract more candidates to apply and ultimately nurture candidates in the time between when they show interest and when they are finally ready to apply. And without non-job content, these campaigns will most likely not succeed. Talent Acquisition is becoming a data-driven discipline and nowhere is that more true that recruitment marketing. In order to consistently meet the talent needs of the business, organizations need to understand the levers and initiatives that help them build relationships with and ultimately convert qualified candidates for their job opportunities. We need to understand every stage in the candidate attraction funnel from initial view to application to hire. And just as important, we need to understand all the channels that influence a candidate along the way. Accurate Data Capture: This one is often overlooked but when looking at technologies to help with analytics we need to understand how the data is captured and how it flows between all of our systems. Where you get into a lot of trouble is when you rely on siloed systems to capture different data sets and combine. In this case, you are relying on each system to accurately capture data and when anomalies are discovered you need to sift through multiple systems to find the issue. A Single View: The goal with all of your analytics is to get it into a single view that provides high level insight into your strategy. This is important as it enables you to quickly identify potential bottlenecks in your process to then dig down deeper into the data. You want to start high level and then get specific as you analyze your recruitment strategy and results. On-Demand Talent: Organizations are less and less beginning from square one to fill positions that open up. Instead they are becoming more proactive about building the right relationships with candidate audiences prior to talent needs from the organization. In this case, it’s becoming integral for your analytics to also provide a look at the real-time Talent Pipeline performance for key skills at the organization. For instance, how many Chemical Engineers do we have in our Talent Network today? This will be increasingly important as organizations look to work side by side with the business unit to anticipate and meet the talent needs now and in the future. The Modern Talent Acquisition organization has a story to tell both internally (to executives and employees) and externally (to candidates). It communicates this story in a variety of ways through multiple channels with dynamic content and messaging. And most importantly, it measures everything back to it’s main goal, attracting qualified candidates. This is a Talent Acquisition organization that helps drive the business forward and becomes integral to providing the talent to meet the enterprise goals of the company set by the CEO.